Ms. Knebel requested a website for the entire social science department. This website would be used both by students and by teachers. She wanted all the existing resources and materials from the department moved from the school website to the newly created website. Ms. Knebel also wanted to add future materials, documents, and videos to the website for her courses. Ms. Knebel wanted the SAP materials to be transferred immediately from the school website, so we created a tumblr site and relocated the documents. 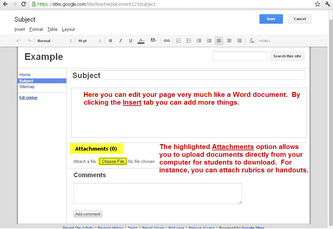 This was a temporary solution before we created her personal website so that her students would have access to the documents needed for the assignment. After researching the websites that the IDC Tech Group recommended, we decided that Google Sites would be the most suitable website platform for Ms. Knebel. This is because of its easy-to-use features and its convenient connection to YouTube. Ms. Knebel is extremely uncomfortable with technology and the privacy issues associated with it. 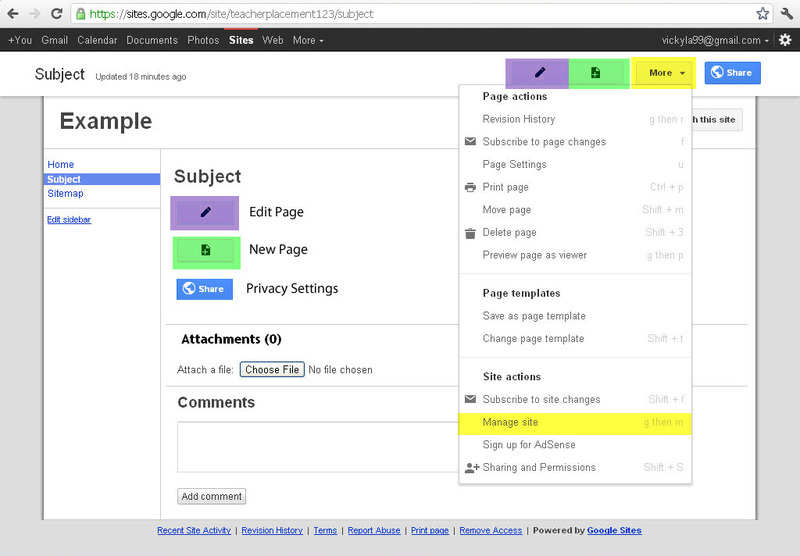 Google Sites is very simple and contains easily adjustable privacy settings. 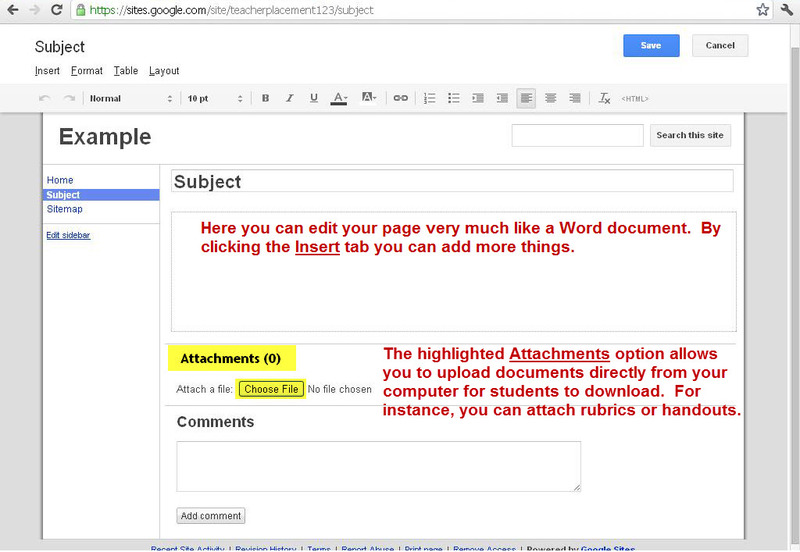 She can have the website viewed by the public or exclusively by her students. 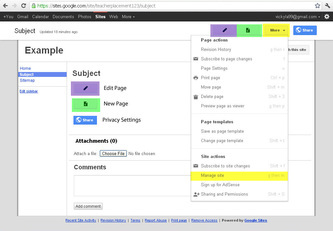 Google Sites also has the option of adding a calendar and other convenient tools she can use. 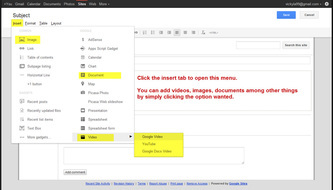 Since Ms. Knebel wanted to use the website to upload and share videos with her students, Google Sites was a good option because YouTube is directly connected to Google Sites. In order to outline and teach the basics of how to use her Google Site, we created a lesson handout for Ms. Knebel to refer back to. 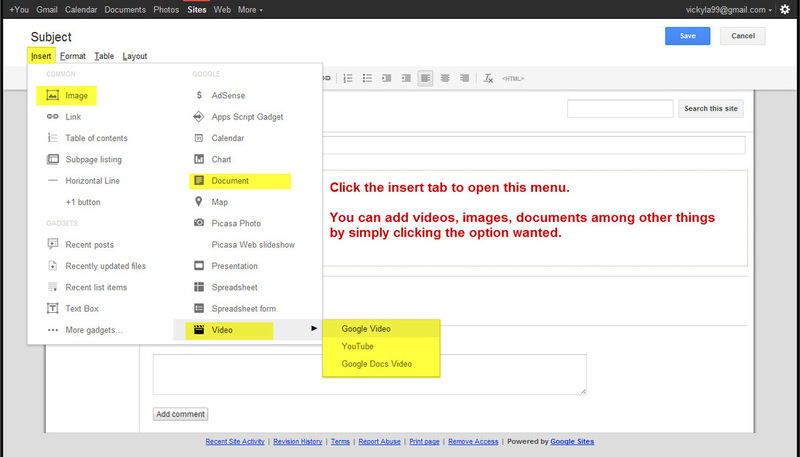 We used Snagit to create the handout by taking and editing screen captures with explanations of each option. We will have a sit-down lesson with Ms. Knebel to go through the handouts and teach her how to navigate and use her website. We will teach her how to do each task step by step and she will be able to ask questions during the session. Here is a video we made for the portfolio piece. 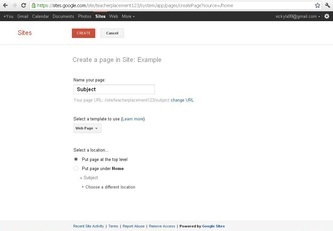 It is a tour and description of the Google Sites we created for our teachers. We created the video using Windows Live Movie Maker. 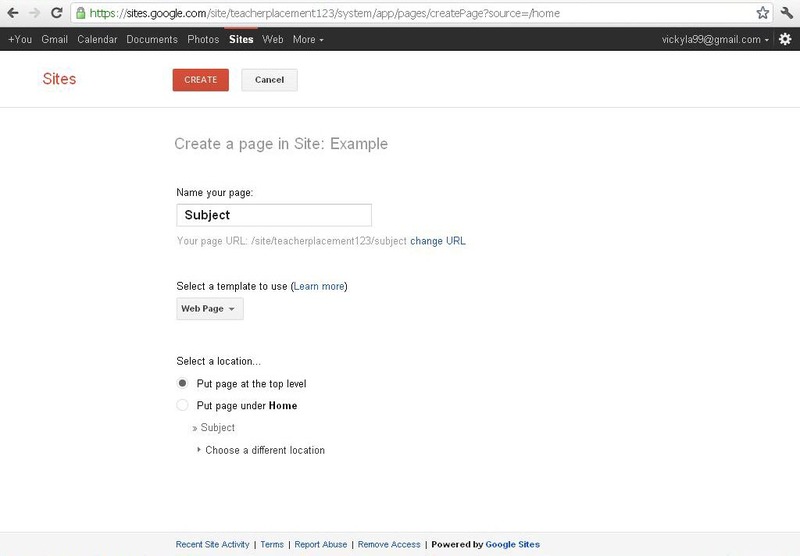 Google Sites: Google Sites can be used for various subjects. Ms. Knebel's website is strictly for her social science courses, however because it is a website platform, the website can be used for any subject, whether it be mathematics to english.